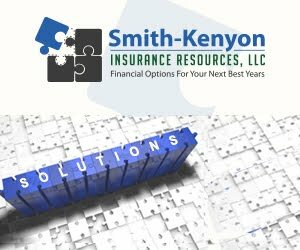 Getting insurance can be quite complicated, especially if you are not really sure what you need. Though most people try to get the cheapest policy possible, that is not always the best way to go. It is important that you really find the right insurance for you and your needs at the time. One of the best ways to do this is by working with an insurance agent. Even so, many people prefer to shop around themselves. However, this can be a mistake. Here are some reasons why you should work with an insurance agent. Insurance agents are licensed experts. They know what they are talking about. They will be able to explain insurance to you in very simple terms that you can understand. They can go over different types of insurance, as well as the different policies so that you can make an informed decision that is right for you and your family. Your agent will become a personal adviser. Your agent will shop around to make sure that you are getting the coverage that you need at a price that you can afford. He or she will work with you and help to advise you so that you know that you are going to be covered. Most insurance agents are able to get you all of the insurance that you need all at once. If you bought your own insurance, you would have to buy each one separately. However, with an agent, you should be able to get all of your needs met at once. You can know that the options that you are given are based on your needs and wants. When shopping online, there are so many options that it can be hard to figure out where to start. An agent will talk to you about your wants and needs, giving you only the best options for you and your lifestyle. The goal of insurance agents is to build a long-term relationship with you. Once you find an agent that you trust, you can work with him or her for years. You should regularly check your policies and make changes depending on what is going on in your life. Once you have an agent, you should be able to do this easily. Since you are going to be working with one person for a long time, it is often helpful to know that they are easy to get in touch with. Most people shop online these days which makes everything a little impersonal. Knowing that you have an agent that you can call anytime that you need some advice or to make changes to your policy can be a good thing. With everything being online these days, many people feel like a number. When you have your own personal insurance agent, you will be able to feel like a person, not just a number. When it comes time to figure out insurance, your best bet is to talk to an insurance agent. He or she will be a wealth of information so that you can make an informed decision. You will know that you are getting the insurance that you need at a price that you can afford. Having an agent also makes the whole process more personal. Too many people do everything online. With an agent, you will be able to talk to a real person. It can be quite helpful to bounce ideas off of him or her. It is nice to know that you can pick up the phone and talk to a real person, anytime that you need to make changes to your policy. What are Some of the Factors that Make Up the Cost of Commercial Building Insurance?